I just love Christmas books. The covers are beautiful and the stories cozy. I really like Cindy's books because she always takes you on a unique adventure. This story talks a lot about modern medicine but from an Amish perspective. There is a perfect mix of mystery and romance that make this book a fun Christmas read. I thought the romance was a bit rushed and not really my favorite part. What I really liked about this book is how it made me think. I am not medical minded in any way and it got me to researching Amish ways and how their life expectancy has always been longer. Truly interesting topic and if you are expecting the typical Amish story you will be surprised. 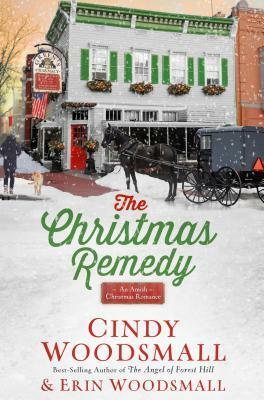 I also have really been enjoying the collaboration of Cindy and Erin, it makes for great reading!